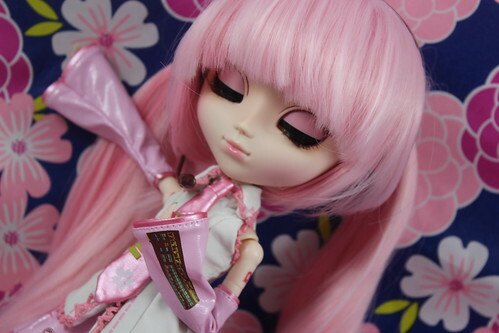 ← First Look at Groove package (Pullips Dilettante & Sakura Miku, Taeyang AKIRA × Destinée de la Rose and MIO Items). 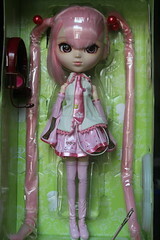 JPGroove very generously sent me some sample items to review recently including Sakura Miku. Miku is one of the human persona of the singing synthesizer program Vocaloid. Miku has become so popular that a number of figures/dolls have been released based on her over the years. 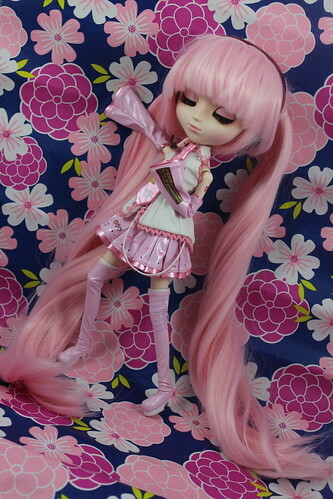 Groove originally partnered with Vocaloid to release Pullip Miku back in 2011, she was quickly followed by Dals Len and Rin. 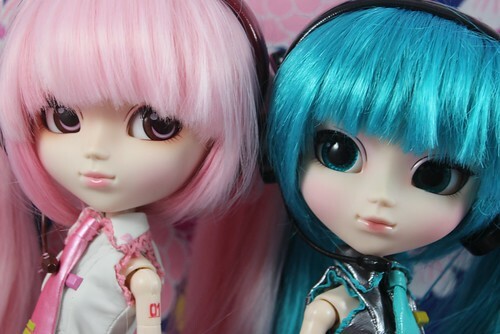 Eventually Pullips based on Luka and Meiko released as well as Taeyang based on Kaito. Two other versions of Miku: Snow Miku and Lots of Laugh Miku were released as well as a DoColla Little Pullip Miku before Sakura Miku was released this past month. Sakura or cherry blossom Miku’s design was inspired by Snow Miku the original seasonal variation of Miku, she definitely looks ready for spring! Sakura Miku with the original/classic Miku. 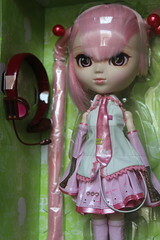 Sakura Miku comes with her trademark headset as well as the standard Pullip card and stand (white). 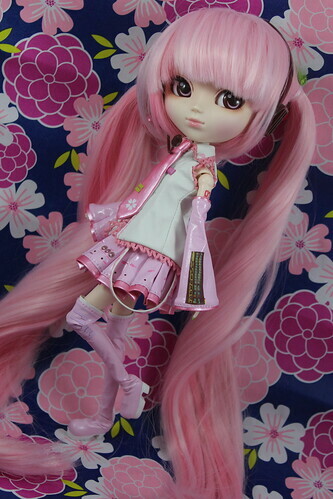 I actually think I prefer the way Sakura Miku’s outfit translated into Pullip form over the original Miku’s. Wig? 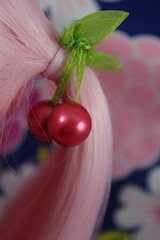 Her wig is very soft, it seems a lot nicer than the original Miku’s. I love the colors, it’s a mix between light pink with a few streaks of a darker pink mixed in. 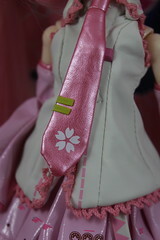 Close ups on some of the details of Sakura Miku’s stock. 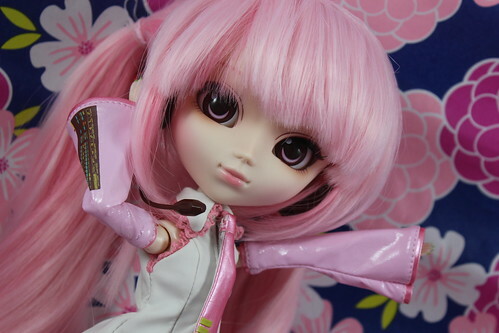 Sakura Miku’s face up is a recolor of the original Miku’s face up done up in shades of pink and cherry. I absolutely love her face up, especially her soft pink lips. I dare say her eyechips are the most anime-like that Groove has ever made. 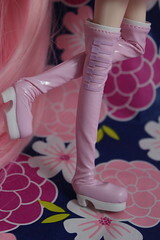 Sakura Miku was a February release in Japan, she will be released here in the states later this month. She has a MSRP of 18000 yen. A singing voice that travels with the spring wind the cherryblossom singing queen has come to bring you spring! …feel like so. 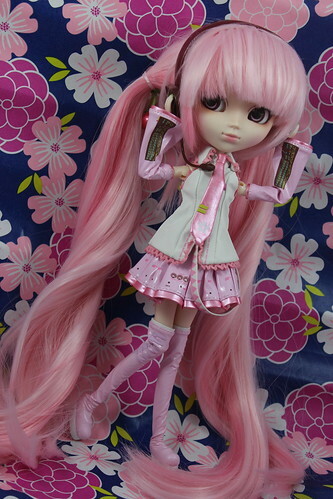 I had always kind of hoped that Sakura Miku would be released in Pullip form but since there was such a long break between Vocaloid releases, I had pretty much given up hope on one ever being released. I was very excited about her when she was announced and she immediately went on my must get wishlist so I was ecstatic when Groove sent her to me as a sample. I didn’t think it was possible but I liked her even more in person than I did with the promo photos. 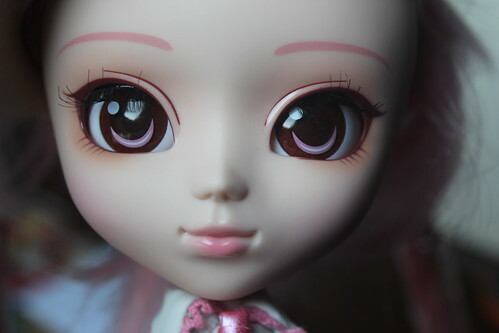 Sakura Miku has such pretty pale pink eyelids. 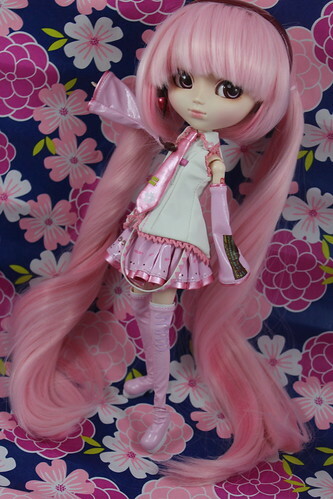 I absolutely love the cherry blossom theme and I think Sakura Miku’s design translated beautifully with this release, I would totally recommend her to fans of Vocaloid as well as fans of Pullip. The only words of caution I have is watch out for the wig, it’s nice and silky but it’s long and well long wigs can be high maintenance. 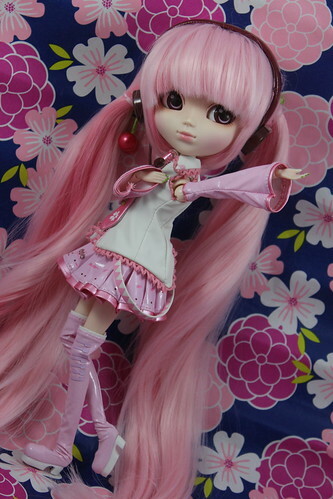 Some additional photos of the lovely Sakura Miku are available on my flickr. 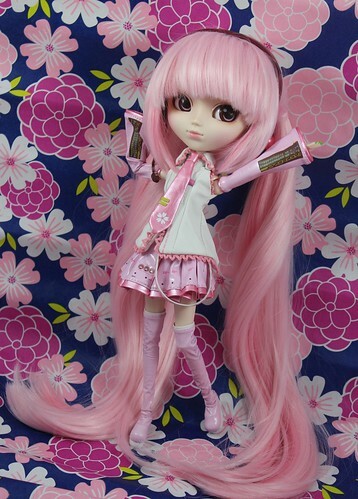 Sakura Miku is available for preorder on Pullipstyle and JPGroove. A very special thank you to JPGroove for making this review possible. 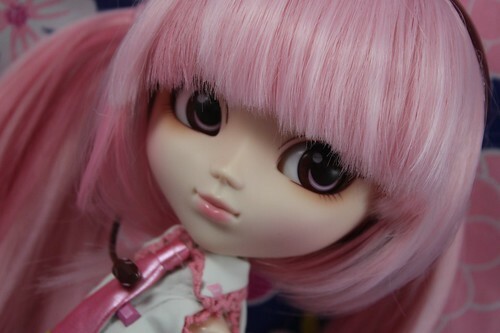 This entry was posted in Doll, Pullip and tagged miku, Pullip, sakura miku, vocaloid. Bookmark the permalink. I was planning on buying Sakura Miku myself as I loved her concept so much, I can’t get over how gorgeous she is in person. Maybe I am just desperately longing for spring, we had snow again here yesterday. Spring must be so quaint with cherry blossoms around.